Shawn learned to dance when he was 15 with the Teen Swingers square dance club, an all-teen competition club in 1981. 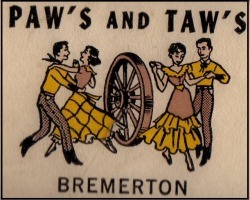 He competed with the Pacific Northwest Teen Square dance festival and won trophies in Square Dancing and Round dancing where he and his partner won 1st place in the Teen Basic B competition against 19 other couples. After graduating from competition in the late 1980s, Shawn taught teens and preteens to round dance at the Phase I and II levels and coached teens and preteens for competition in square dancing and round dancing. Shawn and Wendy were married in 1994 and soon after, moved to Minnesota. In 2012, Shawn was asked to cue for the County Line Squares in Monticello, MN. Shawn is a member of Roundalab and the Minnesota Round Dance Council. His mentors are Marv and Bev K in the 1980s and more recently Ken and Barb LaBau. Recently Shawn and Wendy moved back to Washington where Shawn and Wendy continue to dance and Shawn continues to cue.